Wired Women profiles successful women with ties to Boston who are pursuing their passions. These women serve as an inspiration not only to myself, but to women and girls everywhere who are eager to make waves in their field. These fab women will be sharing their stories twice a month while sharing their experiences. 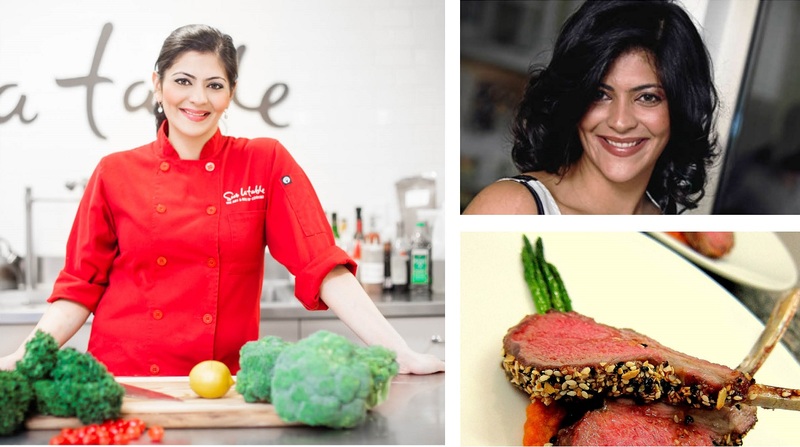 This week I'm profiling the stunning chef and culinary television personality, Saba Wahid. I took one of Saba's cooking classes at Sur La Table and was immediately enamored with her and her passion for food. Style Wire: When did you realize your passion for food and the culinary arts? Saba Wahid: I was always passionate about food from a young age. I come from a family of culinary enthusiasts, so it was only natural for me to follow in the same path. Style Wire: Whether it's the USA or UAE, you're an established culinary figure across the globe, what do you think has contributed to your success? SW: I always followed my heart, it’s the only way I can operate. Pursuing a career that is driven by passion makes you work harder for it. Nothing in life comes easy, but if you enjoy what you do, then it doesn’t really seem like work at all. Style Wire: How does working in the UAE differ from working in the US? SW: There are a LOT of differences, I’m not sure where to begin. When I was offered a job out of the ordinary, I expected the transition from the US to Dubai to be the same. Because I was working for the UAE government, there were many systems and procedures I was not familiar with, but they were also a lot less organized than I had imagined. From contracts to HR (or lack there of) plus the work culture/ethics, the difference was like night and day. It really made me appreciate life back in the US where there is more security and equal opportunity just to name a few things. Style Wire: What's the best advice you can give to budding foodies? SW: Pursue your passion, it’s a tough and very competitive market out there, if you are going to pursue a career in the culinary industry, you have to be willing to make a lot of sacrifices and stick it out. Success comes over time, nobody will achieve it overnight. Style Wire: Where do you draw your inspiration for new recipes? SW: My inspiration for new recipes comes from seasonal ingredients, travels, and product availability. I often brainstorm what flavors and ingredients might pair well together and start from there. I enjoy experimenting and having fun in the kitchen, my friends and family are happy to be my guinea pigs whenever I am working on something new. Style Wire: Bacon or kale there are so many food trends emerging these days! Do you enjoy working with these trends or do you prefer to think outside the box? SW: I think trends in the culinary world are around for a reason, because the food is good or good for you. However, sometimes it can go overboard (cupcakes and pumpkin spice) and then it loses its appeal. I do enjoy working with “current” ingredients, but I also enjoy putting my own spin on things based on what I might be craving. Style Wire: What's your go-to Boston resto for a first date? How about for cocktails? SW: My go-to restaurant for a first date could be one of many. I think Alden & Harlow in Harvard square is great, solid food and a chilled out vibe. Toro in the South Ends is also great, but it’s difficult to get a table there since they don’t take reservations. Toscano in Beacon Hill is a deliciously classic Italian joint in a romantic setting. I also really like The Salty Pig in Copley for food and drinks because it’s a very relaxed atmosphere, and the patio in the summer time is inviting. The Oak Room/Long Bar at The Fairmont is also nice for drinks, the bar stools there are comfortable and the atmosphere is lively. Wink and Nod is a trendy spot with a speakeasy style vibe and fantastic cocktails. The list can go on and on! 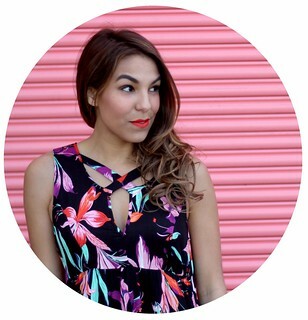 You can follow along with Saba via her blog, Twitter and Instagram!